Check out stories of our students, teachers and their recent achievements! Vista Virtual School (VVS) sponsors two robotics teams that works with former and current VVS, Alberta Distance Learning Centre, Pembina Hills Public Schools and other Alberta junior and senior high students, as well as SAIT and Keyano College (Fort McMurray). These teams are coached by VVS teacher Phoebe Arcilla and her son. Finn, Nico and Milo are part of the Colebrook 5, exploring the world while learning through home education and Vista Virtual School. Check out the family’s blog at https://www.bigbluedot.xyz/. 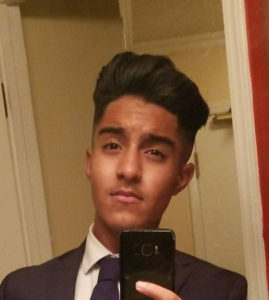 Congratulations Vista Virtual School student Tahir Natha on being named to the Alberta Education Minister’s Youth Council! “It is an honour to be a part of the council and I look forward to working with the Minister of Education to help students across the province,” says Tahir. As one of the 33 junior and senior high students, Tahir looks forward to the opportunity to provide input on education initiatives and engage with the ministry as a partner, as well as learning from the other students that are also part of the program. Please share your feedback on distance education and education in Alberta. The McFarrin family took an epic year-long cycling trip across 18 countries, all while continuing with their education with Vista Virtual School: Globetrotting Calgarians Back Home After Pedalling Their Way Through 18 Countries in 12 Months. The family also took year-long trips through Mexico and Japan, and are not done yet. Andrea N. is featured as part of Team Alberta for the Canada Winter Games (in Red Deer, 2019). As a former student with Vista Virtual School (VVS), Sakariye Mohamed is using the skills he learned with VVS as he pursues a science degree at the University of Calgary. In addition to this, he’s part of Let’s Talk Science, a national program aimed at engaging students (children and youth) and educators in science, technology, engineering and mathematics (STEM). Locally with the University of Calgary, Sakariye volunteers his time to help educate students across the region. “Vista Virtual School prepared me for my post-secondary career (I’m in my second year right now),” says Sakariye. “I took all three sciences with the school and it gave me the opportunity to explore my options. And he uses those skills to help when he presents to students interested in learning more about science. 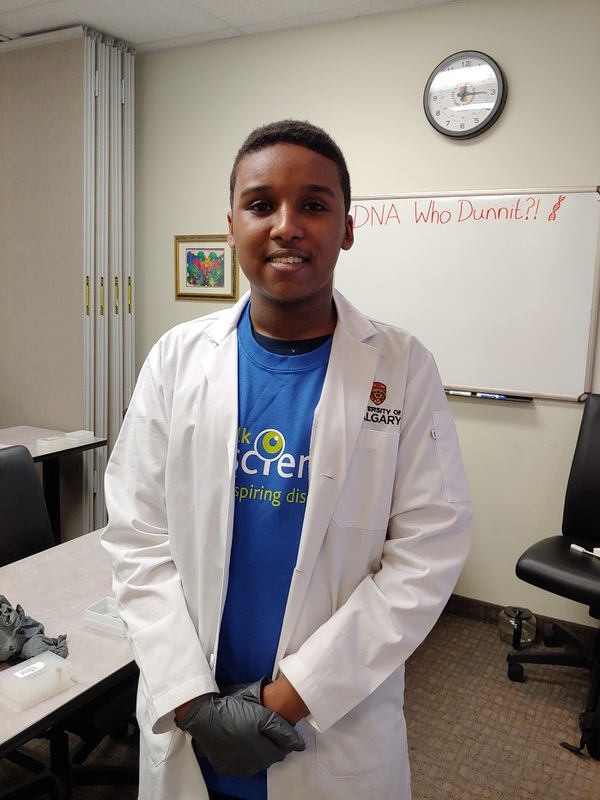 Working with DNA, he was able to present challenging concepts and hands-on experiments to current VVS students through the Let’s Talk Science program. “Going to university was a shift,” he says. “I was well-prepared to engage in independent learning, and the kind of lifestyle of what I needed to do to stay on top of things. It is those study skills that have helped in his learning at the University of Calgary.